The independence of a self-catering apartment, the services of a boutique hotel and the charm of bed and breakfast accommodation. It’s a winning combination and what better location than in the midst of the Cognac vineyards. The facilities at this British-owned address include a swimming pool, a boules pitch, table tennis, a small fitness centre and a library! The four independent apartments all have a well-equipped kitchenette and a separate sitting/dining area. 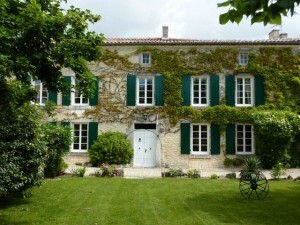 This is a great location from which to get out on the many walking trails, to explore the vineyards by bike or on horseback and of course to play a round of golf and taste the local Cognac.